Book an introductory Private session with a certified instructor for only $65. ($75 value). 3 Private sessions with a Certified Instructor for $165 ($225 value). *One offer per new customer. Cannot be combined with any other offer. Private sessions are available by appointment and is the most comprehensive way to train in the Pilates method. Our certified instructors will personalize your sessions based on your individual goals and abilities and create a personal program to address any injuries, weaknesses, chronic pain, or tightness, as well as aesthetic concerns you may have. You will use the Pilates equipment including the Reformer, Cadillac, Chair, Step Barrel and a variety of other small props for a fun, varied and challenging work out. Duet sessions are available by appointment and are perfect for couples or friends that want more individualized attention than in a group class environment or who have specific goals and objectives for training. Duet sessions offer additional savings over private sessions and are a great way to give and receive encouragement from your partner(s). 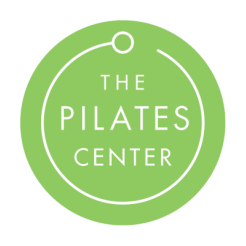 These sessions utilize all of the Pilates equipment including the Reformer, Cadillac, Chair, Step Barrel and a variety of other small props for a fresh, different and challenging work out every time. Trio sessions are available by appointment and are great for family or friends that have similar goals for training. Trio sessions also utilize all of the Pilates equipment including the Reformer, Cadillac, Chair, Step Barrel and a variety of other props to get the most out of your work out every session. While our group classes are open to all levels, we highly encourage you to begin with a Private Session if you are new to Pilates. Our small group equipment sessions offer you an affordable opportunity to train on the Pilates equipment. Each 50-minute session is a full body workout emphasizing form and proper body alignment to increase strength, muscle tone, flexibility, coordination, and balance with unlimited opportunity for advancement. Our instructors will guide you through a customized workout to enhance your results as you tone and sculpt your body. Class discounts are given when you register for multiple classes at the same. *Membership dues of $49 auto-billed monthly. 30 cancellation notice required. Pre-registration and prepayment is required. Register online or please call 817 737-2673 (CORE) for current openings. Student Discount: Students receive a 10% discount off all services with a valid student ID.